The first of its kind in solar pool heating collectors, Heliocol systems are known for their design excellence with a proven track record of efficiency, reliability and safety. SunStar Solar Pool Heating Systems provide you more enjoyment in your pool, long after the summer has gone. Ideal for coastal regions and windy/cooler states, eco-Spark is the next generation in solar pool heating systems. Enjoy your pool more with the SunValue Solar Pool Heating System. Easily replace damaged or broken panels with our all-in-one kit, designed to work with ANY solar pool heating system. Heat from the sun will always warm the water in your pool to a certain extent. Our solar pool heating systems enhance this natural effect, allowing us to extend your swimming season. 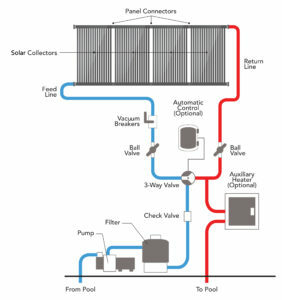 Using your existing pool pump, pool water is directed through a series of valves to your solar collectors. Pool water enters the collectors at the bottom and rises to the top through the individual tubes of the collector. As the water rises through the collector, it is heated by the sun’s radiant energy. The water is then returned to the pool to repeat the cycle until your pool has been warmed to your desired temperature. 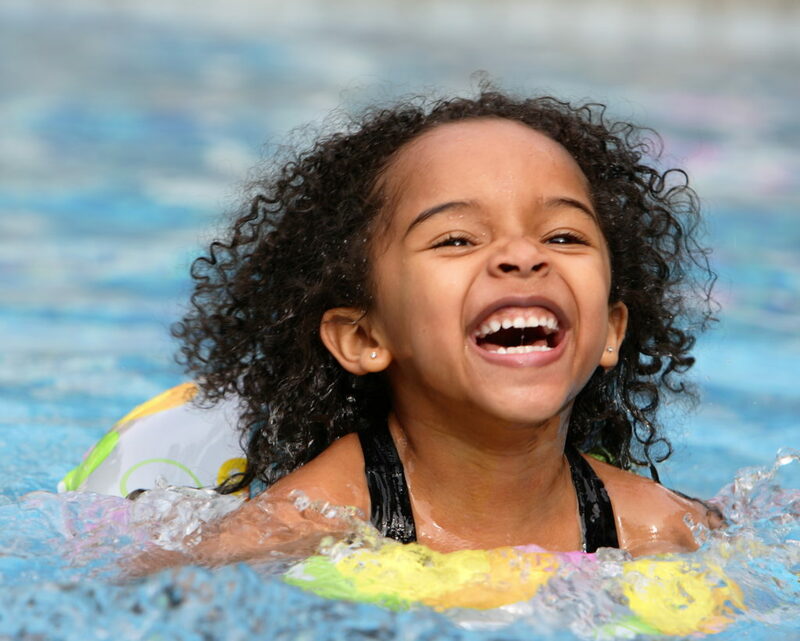 Annual costs to heat your pool can add up quickly if you use gas or electric heating options. However, with our Solar Pool Heating Systems, your only additional cost to your utility bill is running a pool pump at a fraction of the cost. Our solar pool heating panels are manufactured with the highest quality plastics to ensure that the water coming from our collectors is safe, clean and tested to rigorous standards. Our solar pool heating panels are more efficient, thanks to our flexible design and mounting systems. Panels come in different sizes to fit better on your roof, without gaps allowing the system to run as efficiently and effectively as possible. Solar pool heating systems allow you to use your pool more, add value to your home, save you money and are good for the environment. Different modular size and a variety of panel sizes allow the flexibility to fit any surface with appropriate sun exposure. 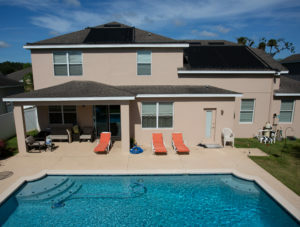 A site visit by an authorized UMA Solar dealer can help you determine the most cost-effective and aesthetically pleasing installation option for your pool. Our individual tube design allows for better protection for your roof, creates more heat and does not cause any lifting of the system. With a minimum 10-year warranty on all of our solar pool heating systems, our systems are designed to last a lot longer. With low costs of operation and proven reliability, our solar pool heating systems are the smart choice for pool owners worldwide. With no moving parts and durable, proven construction, our solar pool heating systems don’t require the maintenance costs associated with other types of pool heating systems. Our panels are built to last with a minimum 10-year warranty, it isn’t unusual for our systems to outlast the roof it’s installed on. Gas and electric pool heaters, by contrast, have to be replaced every seven to ten years. 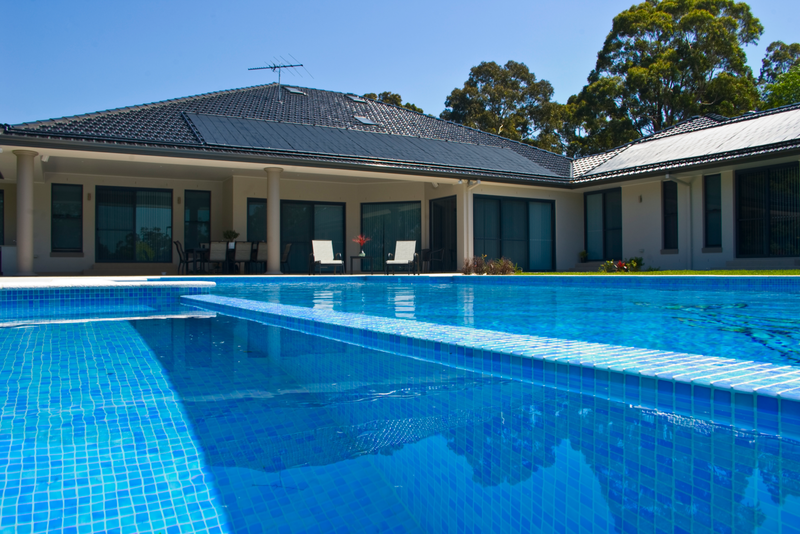 With our solar pool heating systems, you spend more time swimming and less time worrying. UMA Solar’s worldwide network of solar professionals ensures you a quality, well-engineered and worry-free installation from start to finish. 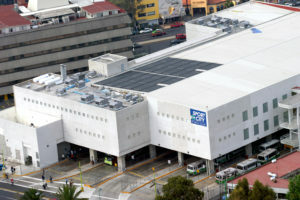 We are happy to work with you to show you how much a solar pool heating system can save your business year after year. Our solar pool heating systems can be found at exclusive resorts, universities, hospitals, corporations and government buildings. 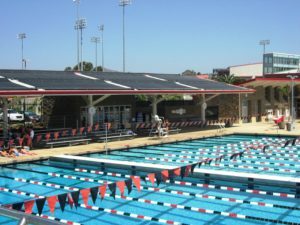 Heliocol was selected by the Summer Olympics in 1996 (Atlanta), 2004 (Athens) and 2008 (Beijing) to maintain optimum temperatures in the aquatic centers during these historic events. If you have large scale hot water needs, our solar heating systems can do the heavy lifting for you. Our solar pool heating systems have successfully been used in modern aquaculture and agriculture operations by harnessing the sun’s heat and reducing energy expenses. 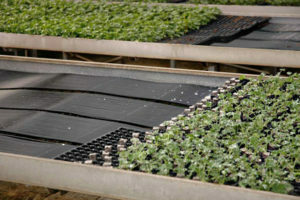 Our systems are used to effectively heat large volumes of water to the desired temperatures, maintaining optimal conditions with no additional utility costs.